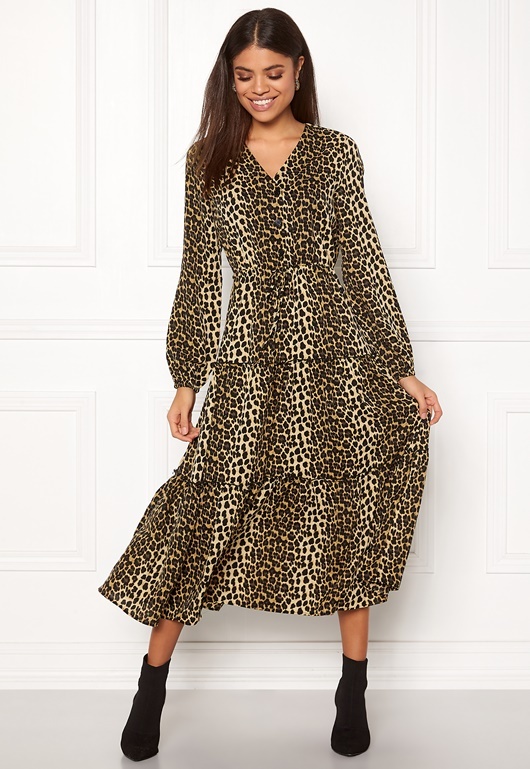 Stunning and trendy leopard print dress from VERO MODA. The dress is a relaxed fit and has fancy flounce details. - Nonstretch, woven quality - V-neck with button - Drawstring waist - Elastic cuffs Back length from shoulder 129 cm, bust 104 cm, sleeve length from shoulder seam 61 cm in size S. The model is 176 cm tall and wears a size S. Machine wash at 30 degrees (delicate wash).